Lim Chin Tsong was a Chinese Tycoon who successfully built a business empire on rubber cultivation, textiles and the oil, rice trading, mineral mining and banking sectors. He was the son of a Chinese Hokkien migrant from Fujian province in China. His father, Lim Soo Hean, came to Yangon in 1861 and began trading rice and selling agricultural products. British ruled Lower Myanmar and were preparing to take over the upper part of the country which was still under King Mindon. In British-ruled Yangon, business was competitive. Lim Soo Hean soon discovered that he was unable to communicate in English with foreign merchants—either Indians or Europeans. Therefore, he sent his 16-year-old son, Lim Chin Tsong, to St Paul’s College in Yangon to study. At 1885, Lim Soo Hean passed away. That was also the year British troops marched into the grand Mandalay Palace and detained the king and queen before sending them into exile. The whole of Myanmar was then under British control. In 1888, 18-years-old Lim Chin Tsong inherited his father’s business. Lim Chin Tsong began to grow the business empire, buying ocean-going vessels, exporting rice and expanding his shipping business to Singapore, Penang, Hong Kong, Guangdong, and Amoy (now known as Xiamen). At 1891, he managed to secure a deal with Burma Oil Corporation (BOC), a large oil company based in the United Kingdom. He was appointed as the exclusive product agent for the region expanding to the export of oil to Penang, Singapore, Hong Kong, and China by acquiring a series of steamers that eventually led to the formation of the China Steamship Company. He became the main agent for the Scotland-based Burma Oil Company, causing frequent headaches in the head offices for his creative accounting techniques. He was known to be generous in his philanthropy projects, donating money to establish schools for students to learn English and to build a hospital for women in Yangon. In 1905, he and his business partners established Anglo-Chinese Boys’ and Girls’ Schools in Yangon. Two years later, he built his own school officially known as the Lim Chin Tsong School. The Lim Chin Tsong School, located in downtown Yangon, employed teachers from England on decent salaries and produced many English-trained graduates, some of whom were Chinese students from Hong Kong and Macau pursuing their education in Yangon, according to some historical records. 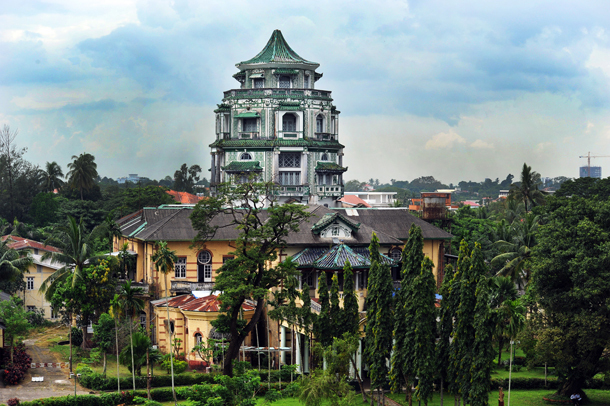 In 1918, he built the Lim Chin Tsong Palace, a lavish residence in Rangoon near Kokkine Road and built at a cost of 2,220,000 rupees. The lavishly appointed murals at the residence were painted by Dod and Ernest Procter, English artists. In 1919, he was awarded the Order of the British Empire for his fundraising efforts during World War I. Lim became the owner of Rangoon Turf Club, a racing stable. After the completion of this mansion, Lim Chin Tsong’s fate had turned unfavourable. 2 of his steamships sank. In 1921, the British government banned the sale of rice in Burma except to India, because of steep increases in the price of rice. This ban collapsed the Burma rice market. Also some also suggested that his flamboyant ways caused the BOC to withdraw his exclusive agent rights, which incited him to seek ways to undermine the company. Suddenly, he was broke. He sold his possessions even his Rolls Royce cars and began borrowing money from friends. In his final days, the once rich Chinese tycoon was a broken man. His death in 1923 was also a mystery that remains unsolved till today. Hypotheses and speculations of his death ranges from typical death by heart attack while sleeping on 5th Nov 1923 to suicidal or even rumours had it that he fled away due to involvement of counterfeit money production. As a result, the mansion was declared insolvent in 1924 and his family was forced to leave the palace the following year due to outstanding debts. 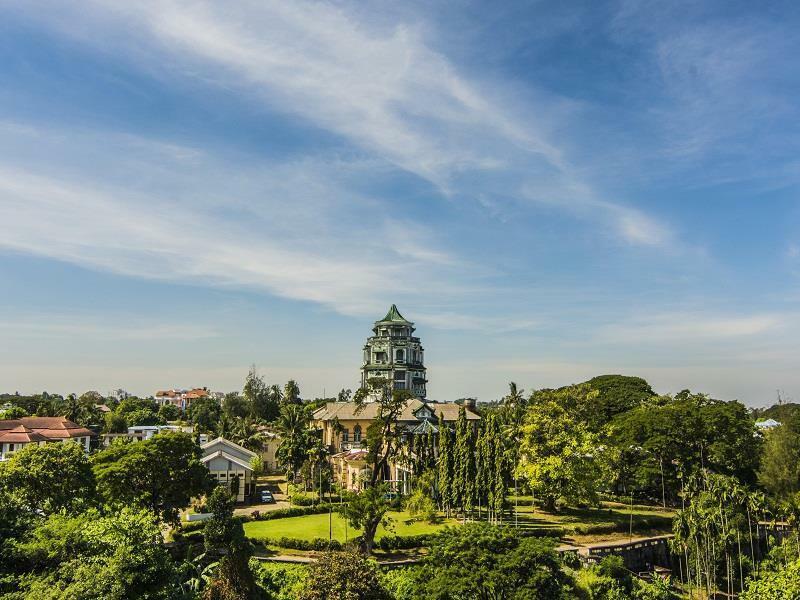 Chin Tsong Palace or locally pronounced in Burmese as “Chin Chong Nandaw” stands quietly amidst the lush green yet unattended garden on the elevated ground further behind the bustling Kaba Aye Pagoda road of Yangon. The building of this mansion was truly a construction spectacle to those living Rangoon at that time. When finished, it was proved to be a truly elegant grandeur. The size of the main hall can host a sit-down dinner for a party of 100 people easily. The five-storey structure of red bricks and green tiles was built to resemble the Fu Xiang pavilion in the Yihe Yuan (Summer Palace) of Beijing but in fact, the building featured a blend of Eastern and Western architectural designs. It took more than two years to build at great cost—some reports suggested a figure of around 2 million rupees. Materials and craftwork for the residence were imported from China. Italian designers, as well as famous British painters, were invited to design the interior. Ernest Procter, an English designer, illustrator, painter and husband to the artist Dod Procter, were among those invited to decorate the residence. There were no records of how many fancy parties were thrown at the palace but when Georges Benjamin Clemenceau, a French statesman, visited Southeast Asia, including Myanmar, in 1920, Lim Chin Tsong was known to have entertained him at the residence. 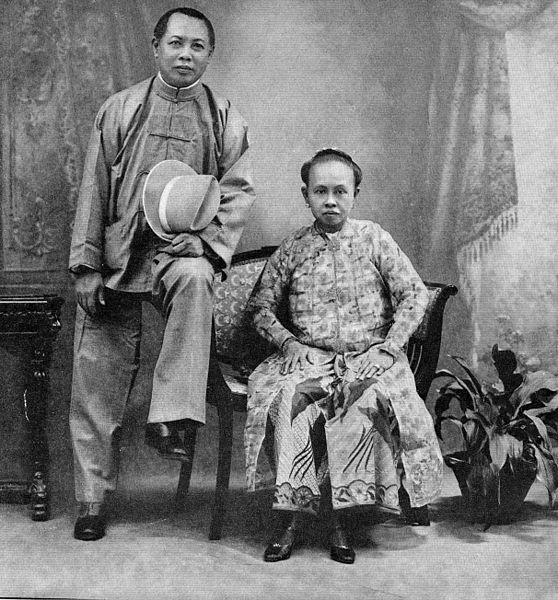 In 1923, three years after the inauguration of the Chin Tsong residence, he passed away. His family was forced to leave the palace the following year due to outstanding debts. The palace first went to a Japanese creditor (under Japanese rule in Myanmar from 1941-45, the residence housed the All Burma Broadcasting Station), then to Indian businessman and then to the Myanmar government in 1950 when it was turned into a state guesthouse named Kanbawza Yeiktha. 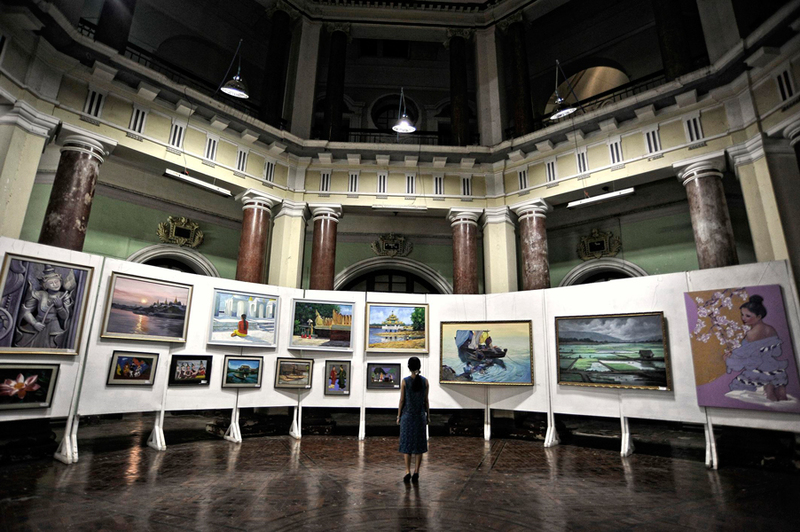 Currently, the Fine Arts Department under the Ministry of Culture maintains an office and an arts school within the building. The building is simply in the stage of decay. Only some rooms are utilized as lecture rooms and arts studios.